Would you rather settle for an OLED screen in 2017 or hook up with the normal screen size we often see on daily basis? Now Apple is about changing the parade, as they have planned on doing something different by introducing an Iphone 7s with an OLED screen. MacRumors picks up a report from the Korea Herald which says the 7S will get an OLED display, putting the smartphone on a par with rivals such as the Samsung Galaxy S7. Good news huh? Now here is the most interesting part of the story, do you know the company that has been booked to supply these OLED display to Apple? It is Samsung. Apple company will seal a deal with Samsung worth £1.8bn to bring the technology to its 2017 device. Remember that Samsung is Apples's key competitor when it comes to mobile phone as both companies have been seen trying to outsmart each other with the latest device. In a recent report or will i say rumor, it was revealed that Samsung would be delivering 100 million 5.5 inches screens. The fact that no other size screen is mentioned casts doubt over the whole iPhone flagship range getting the upgrade. 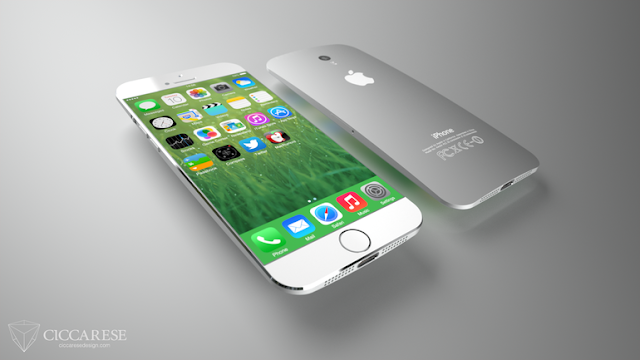 It seems the 4.7ins iPhone 7S sticking with LCD displays. Apple is said to have earmarked a huge amount of money for this ongoing project and if this technology comes to live, then iphone lovers would have no option than dump their old devices for the all new OLED screened Iphone 7s. iPhone 7 display will be inspired by 'perfect' iPad Pro and i think this would be a major upgrade in the technology era for the mobile company. Now the big question that storms the heart of Apple lovers is "What other special functions will the iphone 7s come up with"? Well! i said i have heard alot and would not want to give more speculations on this new gadget, since time will surely reveal how brilliant this device is gonna be. In recent times, Apple said they expect the iphone to expire in three years. That means, if i got an iphone, i should expect maximum performance within the first three years of usage. Quite strange. What do you think of this latest and trending technology from Apple? let me hear you out via the comment box below now. WOW this mobile seems quite wonderful. Mark i bet you are gonna rush it wen it is out..
amazing, eagerly waiting for iphone 7. Terrarium tv for watch the online movies and Latest TV Shows are available for free of cost for our PC. Do you know that you can watch the sportsarefree xyz nba matches on the iPhone X and all the versions of the iPhone. Hence, watch the NBA, NHL, MLB, and more on the Sports Are Free.